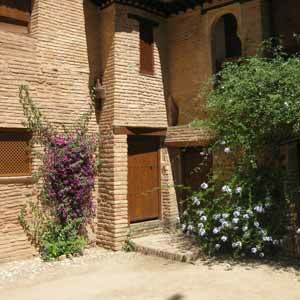 Join a Group and visit the Alhambra including Tickets, Guide and Transport. In the evening, contemplate a spectacular flamenco show in the historic Sacromonte district of Granada. Let us introduce you to the world of Flamenco. Granada, especially Sacromonte, is home to many important flamenco dancers, from the past and the present. We also offer traditional cuisine from Granada with a special Arab and Andalusian touch. Select between the dinner-show or drink-show options. Additionally, a guided walk through the Sacromonte barrier is included. 1. Pick up and drop off from your hotel, both morning and evening. 4. Flamenco Show (with dinner or drink). 5. Short guided walking tour through the neighborhood of Albaicin. For the Flamenco show, we will also pick you up from your hotel between 7:00pm and 7:45pm (show with dinner) or between 8:45pm and 9:30pm (show with drink). Flamenco Show in Granada (Youtube).